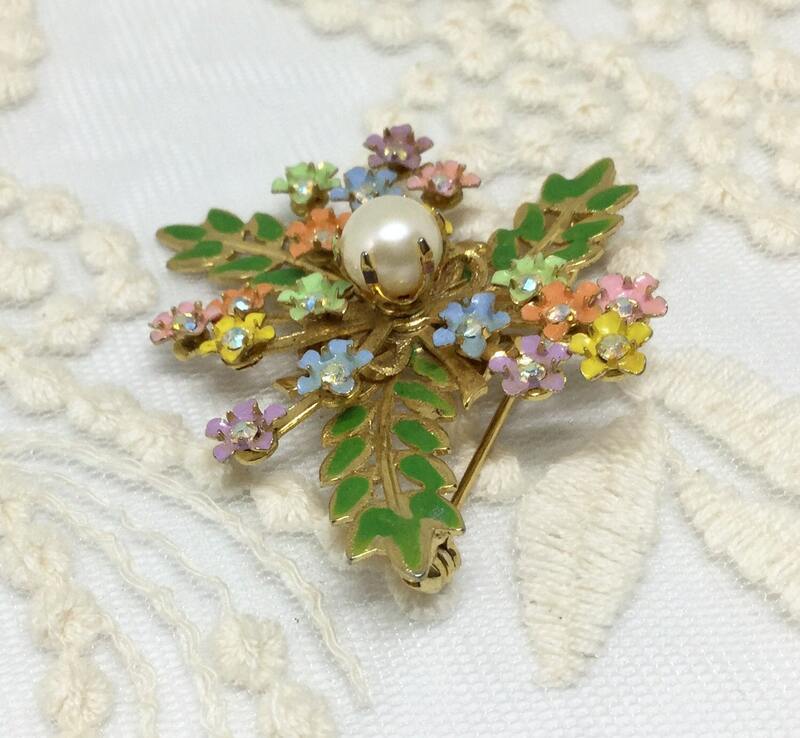 This is a goldtone unsigned enamel and rhinestone flower and leaf dainty brooch. 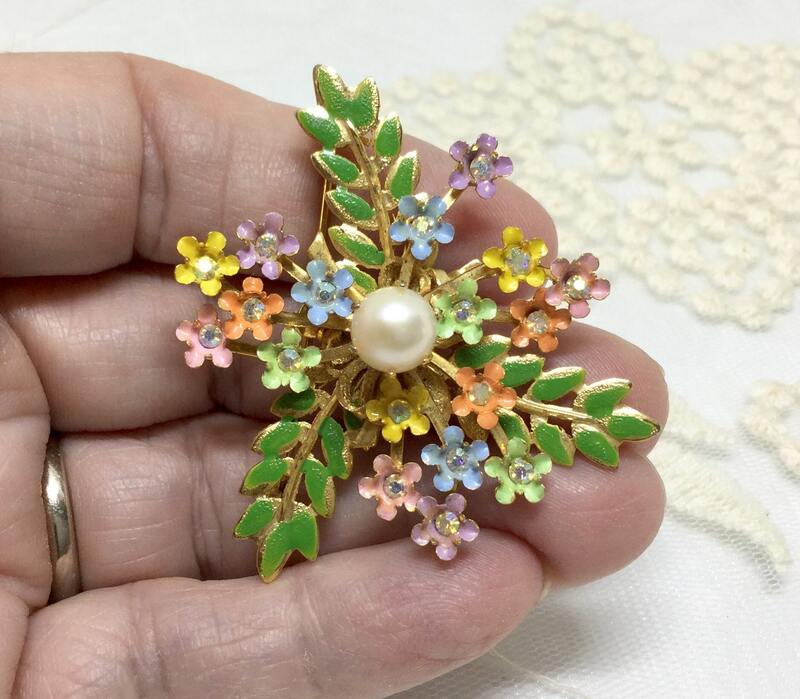 The brooch is riveted in the center and holds five layers of this flower brooch. 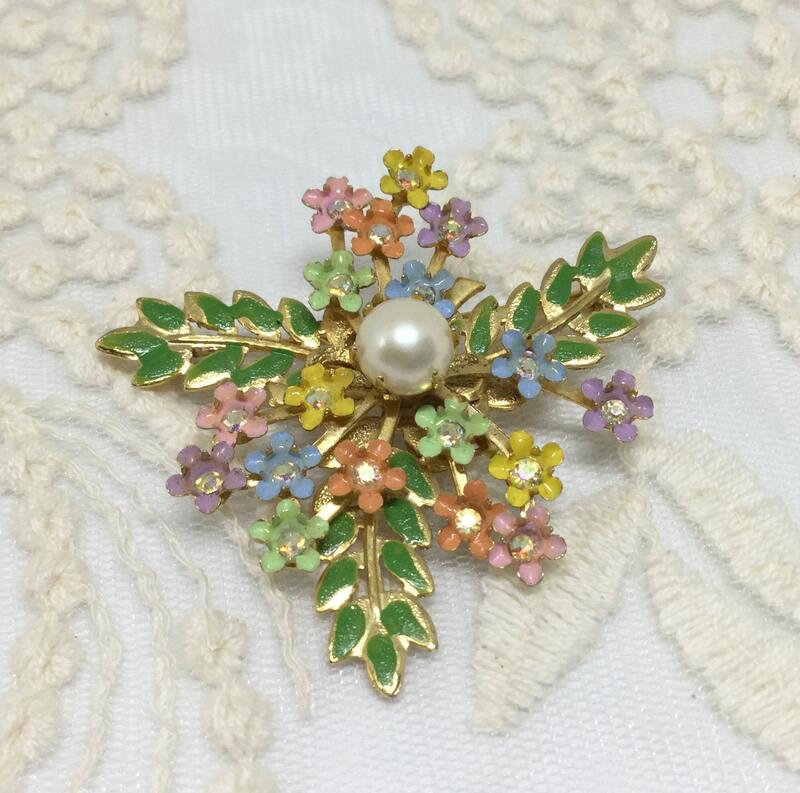 The top center layer focal point is a prong set faux pearl. 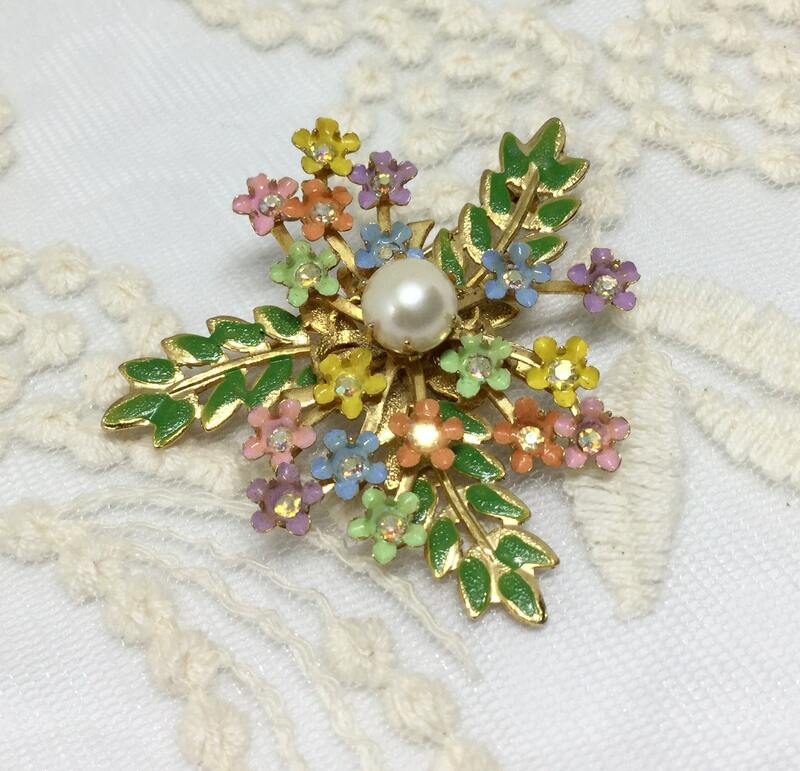 The next two layers down are small sprigs of pastel enamel flowers with tiny rhinestone centers. 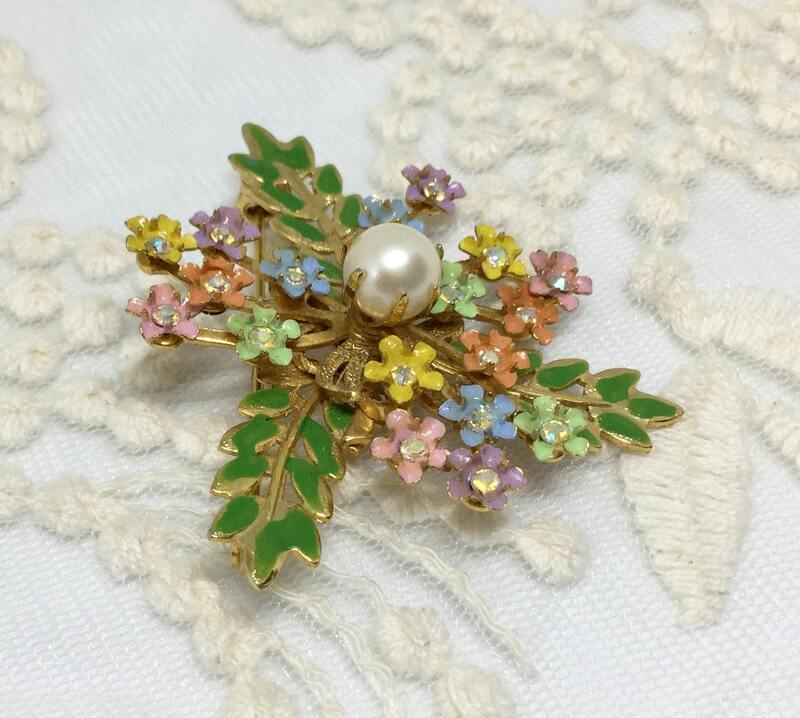 The bottom two layers are goldtone branches of green enamel leaves. The back is in great condition. 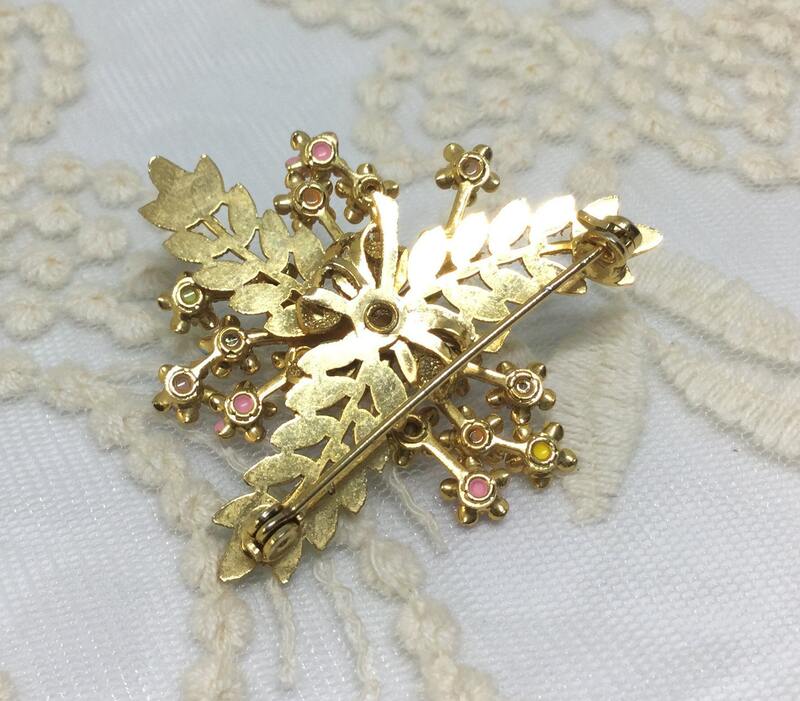 It measures 2” x 1 3/4” and the pin closure is straight and works smoothly and securely. 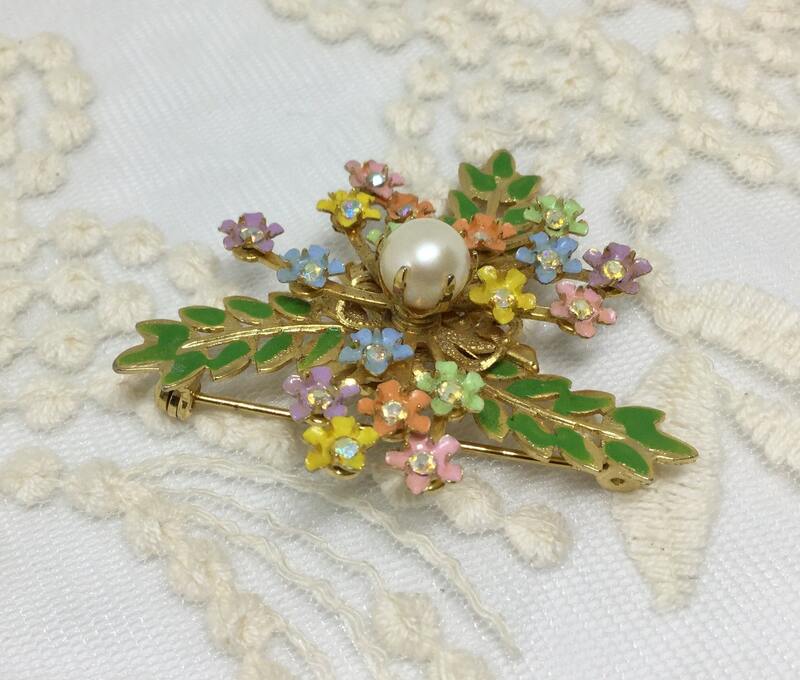 This is a wonderfully sweet and dainty spring and summer brooch that will brighten anyones day!